Keystone Cash & Carry Is On The Move! The Keystone Cash & Carry Mall is moving to a new location only one minute from their current warehouse! They are very excited about their new space, and they have been receiving nothing but positive feedback from both manufacturers and buyers. This new space will allow for new vendors to be feautured, and for existing vendors to increase their booth space to increase inventories. Vendors have been working extremely hard this week to bring you beautiful products displayed like never before. The building itself also offers many great features to buyers. It features a larger parking lot, and 3 registers for faster check out. 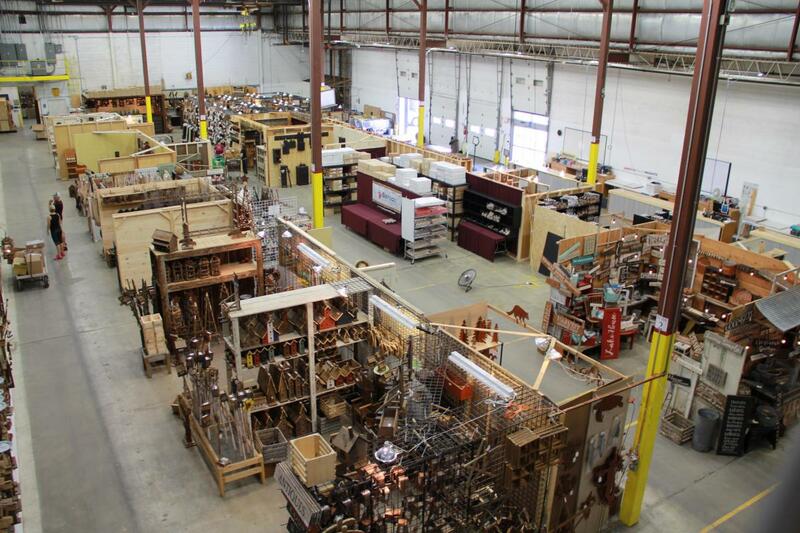 Also, the building is adjoined with AT Imports, meaning over 100,000 square feet of wholesale shopping under one roof! Shown to the left and below are photos taken during the transition. This is not the entire vendor space, there are two more rooms! They will officially OPEN at the new location on Saturday, August 1st. If you have any questions about the move you can visit their website, or view their contact information on their All American Wholesalers profile page.